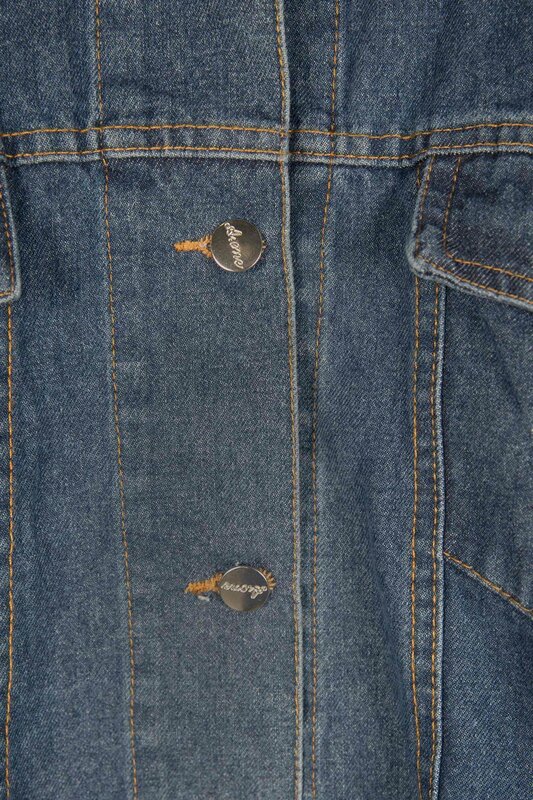 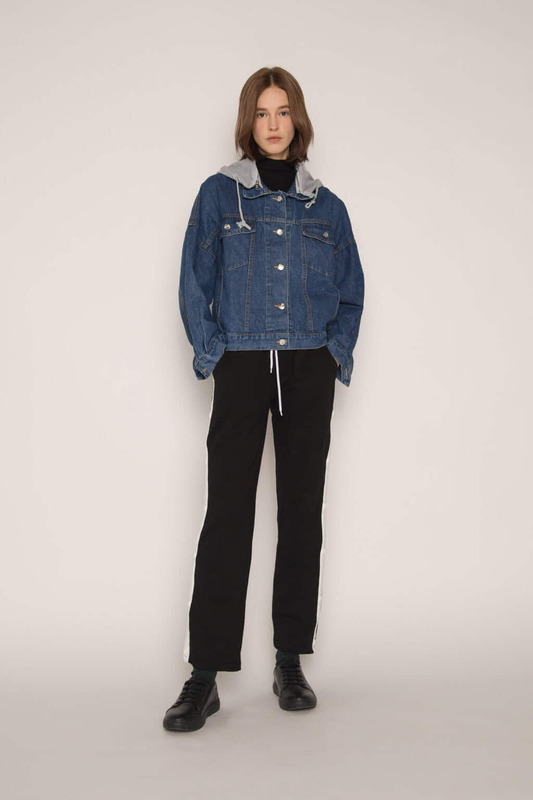 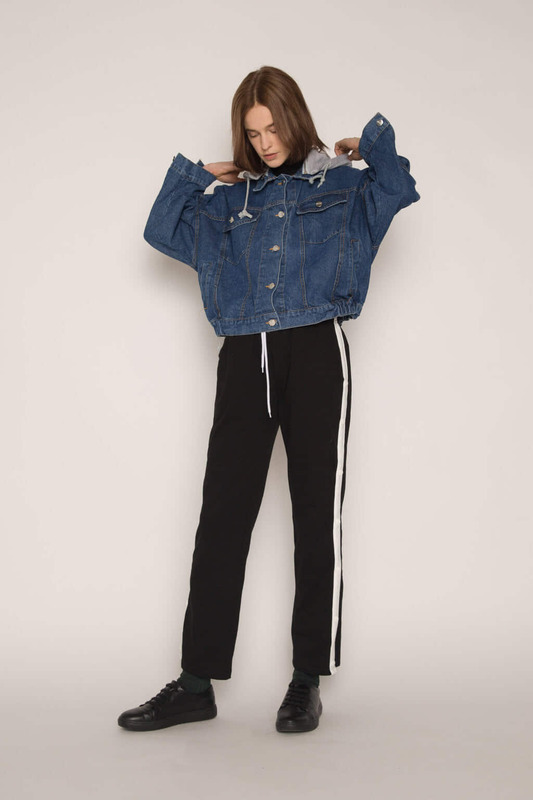 This lightweight denim jacket features a classic design with a subtly cropped length and gathered hem. 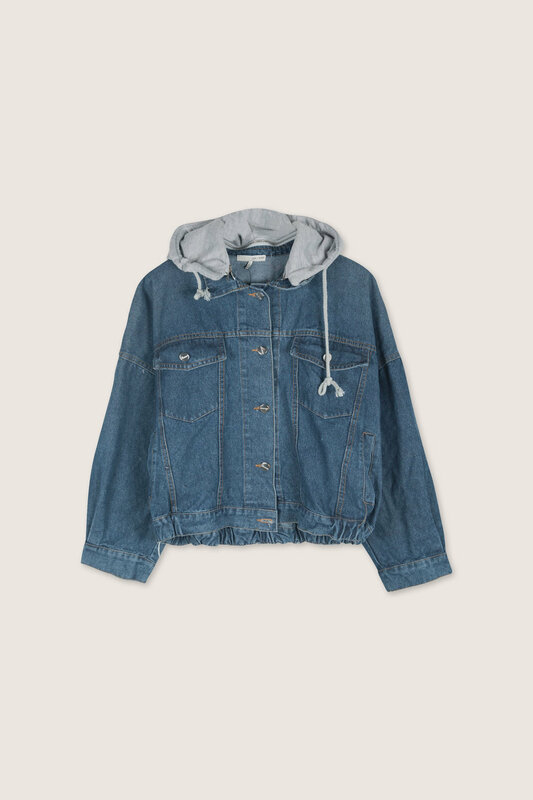 The detachable hood adds a sporty contrast to this classic. 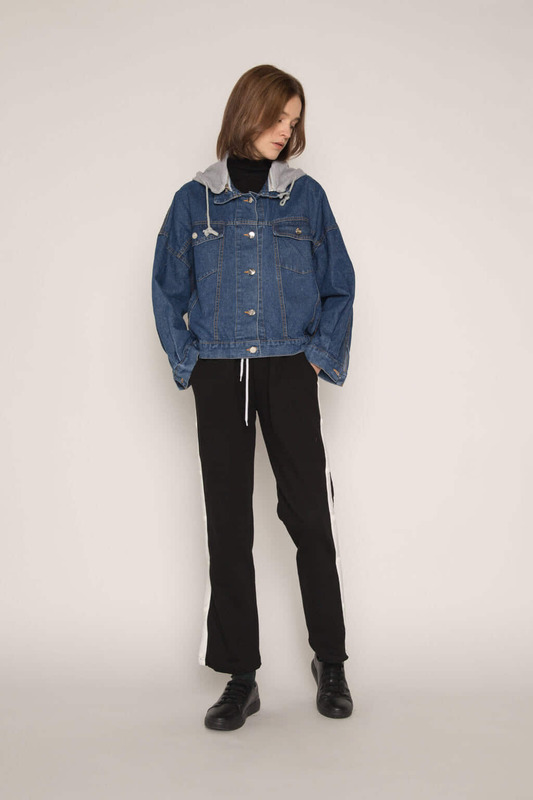 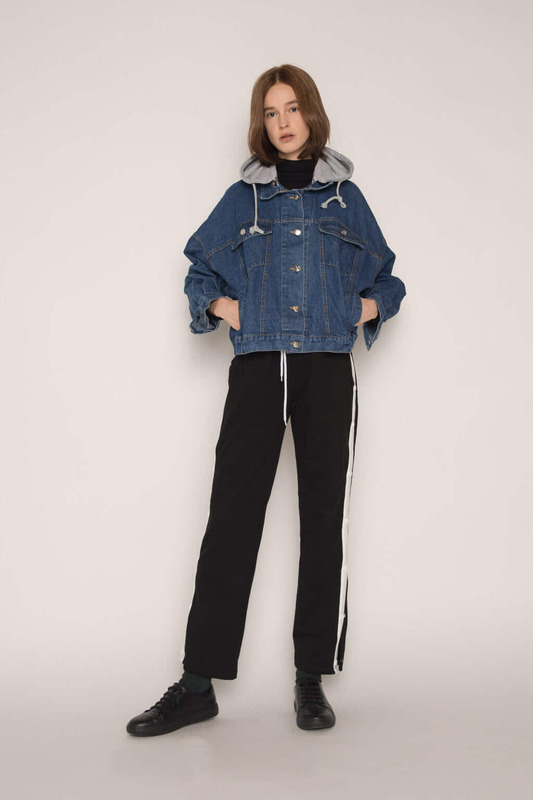 Pair with a turtleneck, trousers, and sneakers for an effortlessly cute everyday look.